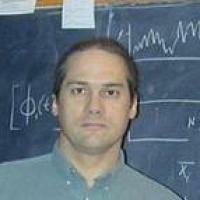 For my physics Ph.D. work on condensed matter theory, I used computer simulations and mathematics. I transferred those skills to theoretical evolutionary ecology, and earned tenure in the Duke Zoology department. The lack of funding for that research precluded promotion at Duke, and I directed my studies toward urban environmental issues and environmental inequities. I published two books, Constructed Climates (2011) and Stormwater (2016), with University of Chicago Press.